OMG Commercial grade outdoor play area seesaws and see saw rockers. 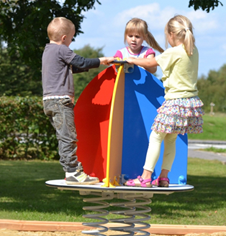 For public play areas, schools and park recreation areas. Available in a variety of colours and designs. Installation and servicing available nationwide. Robust anti vandal construction for up to inner city placement, with additional matching complimentary items. Mounted direct into the floor with a galvanised ground socket attachment. All OMG products come with a 15 year steel guarantee. Since day one the impact the multi sports games area had on our outdoor recreational play facilities has been completely fantastic..
5+ yrs smiley play area steel seesaw ESS43. 5+ yrs mammoth play area steel seesaw ESS40. 5+ yrs discus play area steel seesaw ESS40. 5+ yrs horses play area steel seesaw ESS24. 5+ yrs bobbin play area steel seesaw ESS50. 5+ yrs horses play area steel seesaw ESS70. 5+ yrs Delta play area steel seesaw OMG2480. 5+ yrs puma play area steel seesaw OMG2481. We have a nationwide service for installation with a fully qualified team of trades including building services, electrical, drainage and sports surface experts. Specialist sports knowledge areas include cricket artificial non turf pitches. 3G indoor and outdoor football pitches. Inddor and outdoor basketball courts and goal equipment. Multi use gaes areas and outdoor public use sports courts.